We here at The Harbor are thrilled to hear about this exciting holiday project by Kirsten Norgaard of Kits Apothecary. 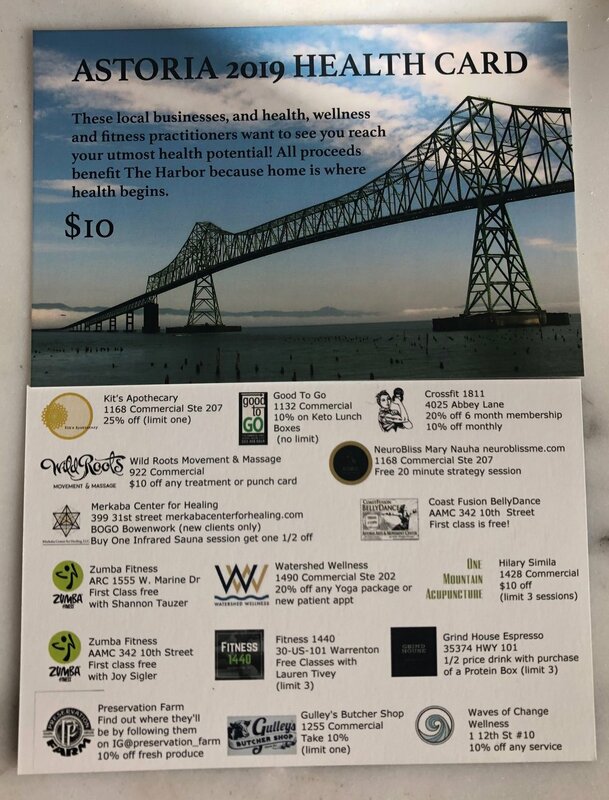 She has put together these wonderful health punch cards that include discounts and free classes from 16 participating businesses! The cards are only $10, and the best part... All the proceeds go directly to The Harbor to help us support survivors of domestic violence, sexual assault and stalking. How Cool! Purchase yours at Good to Go, Kits Apothecary or Wild Roots. Thank you for your support!